70.3 Training Program is for the endurance triathlete: geared towards the first time half-iron athlete as well as the PR hopeful! This 12 week training plan focuses on taking you the distance in preparing for a 70.3 half-distance triathlon (1.2 mi swim, 56 mi bike, 13.1 mi run). It will be a complete training plan developed by a Certified ITCA or USAT Coach including two-four monthly group training sessions! This year we are offering a spring and fall 70.3 Training Plan. We are offering TWO 70.3 Programs in 2019! Some Monday evening optional sessions too. A graduate of 2018's Tri 201 program or have completed an Olympic distance triathlon. 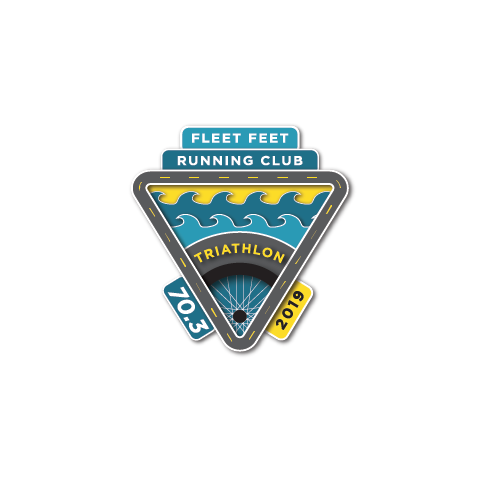 You must be able to currently run a 10k, swim freestyle stroke for 1500 yards continuously and bike 25 miles (15.0 mph minimum). You must be at least 16 years of age and understand traffic laws. Also, you must be a US citizen, due to training sessions that access Redstone Arsenal. It is imperative that you meet these minimum requirements! Becoming a 70.3 triathlete at the end! Register for both Spring & Fall 70.3s and receive $30 off one program. Blevins Bicycle Company﻿﻿ began as a humble backyard shop built from the ground up from the perspective of a bicycle mechanic. From a 700 square foot shed to a massive 8000 square foot storefront in South Huntsville. Blevins Bicycle Company has always had the fundamental belief that a working bicycle is the most important aspect of cycling.